Wild, wild thoughts! Wow, wow, wow! These images are stunning, the colouring and the vast location are everything! 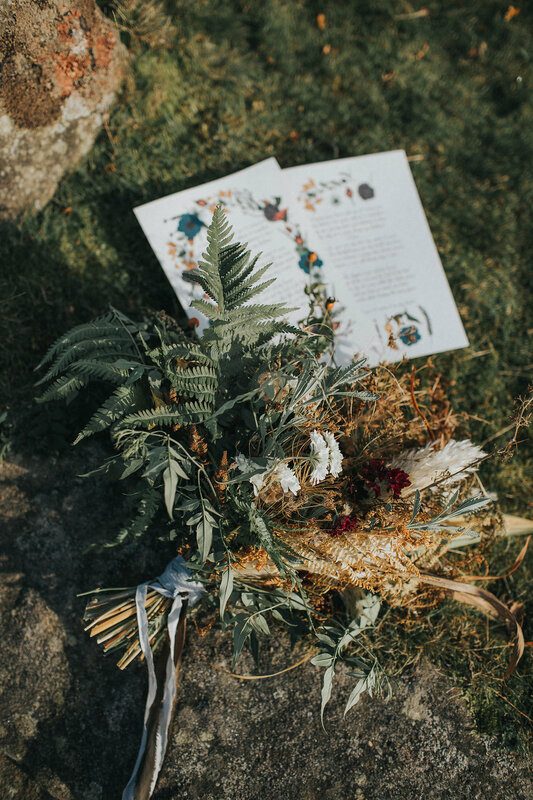 Magda K Photography conceived the idea of earthy, runaway brides and along with the other suppliers, took this editorial style wedding inspiration shoot to the peak district for an elopement wedding. 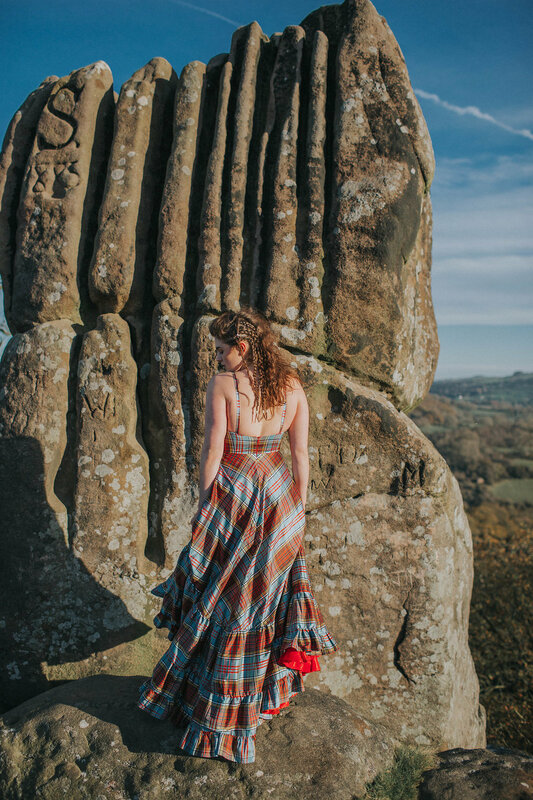 There is very little that is conventional about this wedding; nature is the overarching theme and the dresses by Esther at Frock! juxtapose all of the natural colours with the raw shimmering silver and bold tartan pattern. This series tells a beautifully simple story of eloping to the countryside with wedding must-haves - your love, your bridal bouquet, vows and picnic hamper to celebrate.